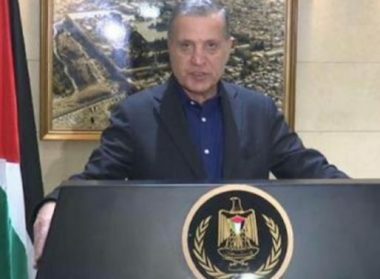 The official spokesperson of the Palestinian Presidency, Nabil Abu Rodeina, stated on Monday evening that the Palestinians will remain steadfast in the struggle for their legitimate rights, especially in occupied Jerusalem, and added that the holy city is more important than the relations with the United States. Abu Rodeina said that the American policies, and the hostile decisions and practices of President Donald Trump, cannot void the historic and legitimate rights of the Palestinian people, topped by their struggle for liberation, the Right of Return of the refugees, and establishing an independent state with Jerusalem as its capital. The official further stated that the latest U.S. decision to shut the Palestinian representative office in Washington is an illegal act of political blackmail, and added that these policies cannot void the legitimate Palestinian rights, and the steadfast position in protecting the city and its holy sites. He added that the Palestinian leadership is committed to all related United Nations and Security Council resolutions, and is also abiding by all decisions of the Arab League, regarding protecting the Palestinian cause, and reaching a comprehensive peace agreement by ending the illegal Israeli occupation of Palestine.